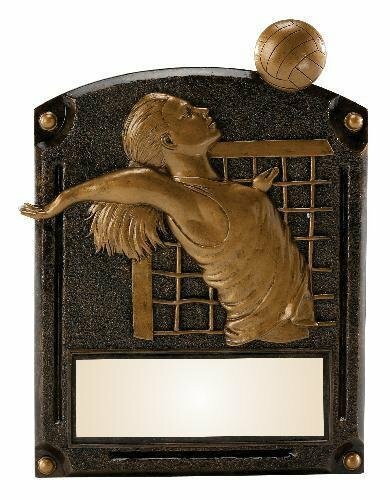 This Female Volleyball Legends of Fame award is a memorable keepsake that will be cherished by the recipient for years to come. 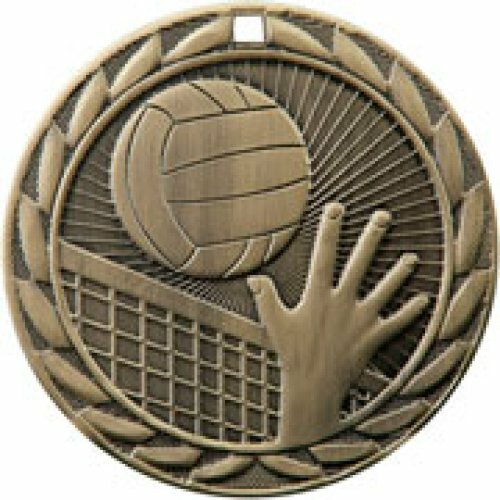 The volleyball player is shown rising high above the net with her arm back and ready to make the game winning spike while the unique bronze color finish makes this award something special. This Legend of Fame award measures 8 X 6. 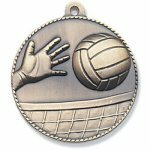 A large area at the bottom of the award can accommodate all of your personalization needs. This item can either be hung on a wall or placed on a desk using the included stand. 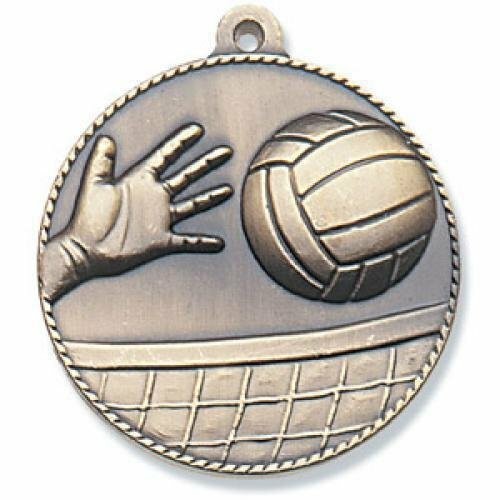 The star on this volleyball award is leading the victory dance to celebrate a top notch performance on the volleyball court. Just add a plate to the base to personalize it for your star performers and this award is ready for your event or awards ceremony.